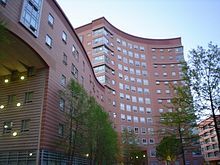 Northeastern's 2018 acceptance rate was 19%. For the Class of 2022, Northeastern received 62,000 applications, with 11,780 students accepted. The record number of applications led to a drop in acceptance rate, eight percentage points lower than the previous year. Additionally, Northeastern was in the top ten most applied to college in 2018. For the Class of 2021 (enrolling fall 2017), Northeastern received 54,209 applications (which was also more than in any previous year at the time), accepted 14,876 (27%), and enrolled 3,108. 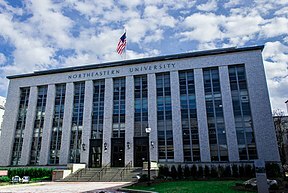 The applicants for Northeastern have been steadily increasing from 49,822 in 2014, to the 54,209 applicants for the 2017 year. Of those who applied in 2016, 9,500 were international students, up from 1,128 international applicants in 2006. Of those who enrolled, 20% were international students. In the Power of International Education's 2017 Open Doors report, Northeastern was ranked as the fourth highest institution in the United States to host international students. For the freshmen who enrolled, the middle 50% range of SAT scores was 660-740 for critical reading, 710-780 for math and 690-760 for writing, while the ACT Composite range was 31–34. For the class enrolling fall 2013, Forbes placed Northeastern 35th in "The Top 100 Colleges Ranked By SAT Scores". Of those who were enrolled, 76% were in top tenth of high school graduating class with 94% in top quarter of high school graduating class. Of the freshman who are not international students, 76% are from out of state.